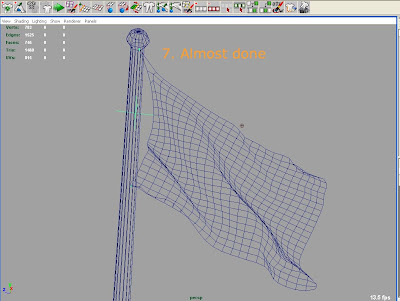 Hi guys.. Selamat Idul Fitri.. maaf lahir dan batin ya.. now i'm trying to make some tutorial of maya ncloth.. alright, lets start from the basic stuff..
1. 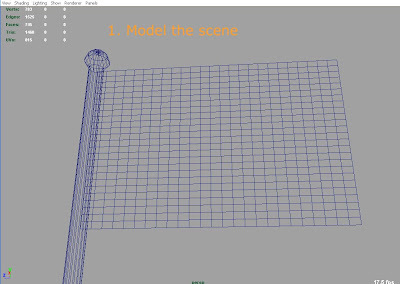 You need to model the object first..
2. 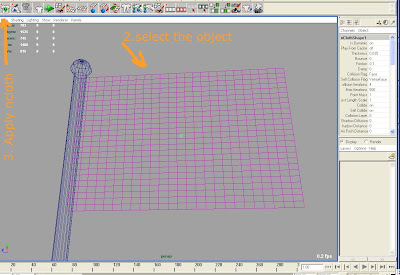 Selecting the object and applying the ncloth..
3. 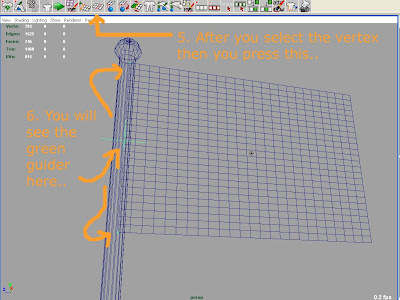 Dont forget to select this two vertex..
4. Now you can see the green indicator, then press play..
5. 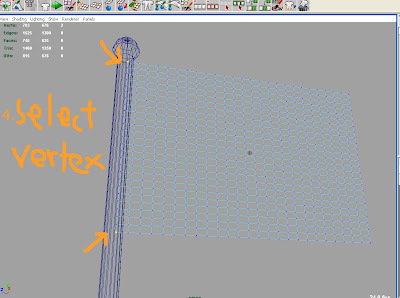 Cool.. it works guys.. you can add some wind or noise to keep the flag animation close to the real movement..
6. 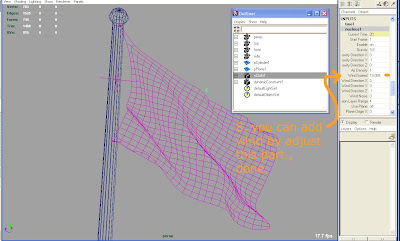 Yup, wind.. you need to add this effect.. without wind it looks so flat guys..
7. Yuppy.. now its time to learn something more interesting.. hehehehe..